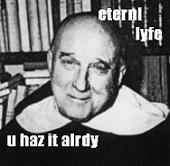 It’s not the liturgy, stupid! Many believe in or claim that they believe in and hold fast to Catholic doctrine on such questions as social authority, the right of owning private property, on the relations between capital and labour, on the rights of the labouring man, on the relations between Church and State, religion and country, on the relations between the different social classes, on international relations, on the rights of the Holy See and the prerogatives of the Roman Pontiff and the Episcopate, on the social rights of Jesus Christ, Who is the Creator, Redeemer, and Lord not only of individuals but of nations. 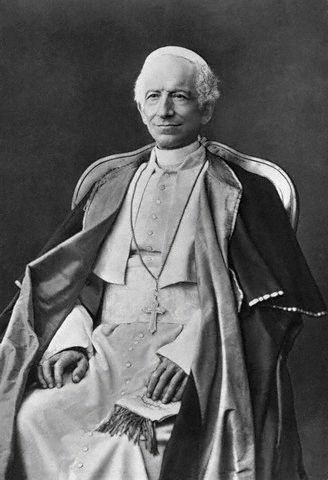 In spite of these protestations, they speak, write, and, what is more, act as if it were not necessary any longer to follow, or that they did not remain still in full force, the teachings and solemn pronouncements which may be found in so many documents of the Holy See, and particularly in those written by Leo XIII, Pius X, and Benedict XV. There is a species of moral, legal, and social modernism which We condemn, no less decidedly than We condemn theological modernism. St Benedict says “To you, therefore, my words are now addressed, whoever you may be, who are renouncing your own will to do battle under the Lord Christ, the true King, and are taking up the strong, bright weapons of obedience.” But he is not addressing would-be statesmen or even the fathers of families, he is addressing would-be monks. The Social Kingship of Christ consists in the reordering and subordination of temporal realities to the supernatural end. Its foundation lies in the recognition of the utterly surpassing nature of that end. Its foundation is in the monastery and the monastery’s foundation is in heaven. Without this all temporal Christian struggle is worthless. The path of restoration proceeds from the monastery through the liturgy to the capitol and back again, but cut off from its source and destination it will nought avail. I have had the opportunity over the years four times to celebrate the feast of Christ the King on its traditional date in the United States of America according to the traditional rite. On one of those occasions the Mass was arranged by a lay ‘Latin Mass Community’ who ensured that it was celebrated with gusto. A High Mass with full choir, Blessed Sacrament procession and the solemn intoning of the Consecration of the Human Race to the Sacred Heart of Jesus. On the other occasions the Mass was offered by the FSSP. Now the FSSP are splendid fellows but the liturgy was not at all celebrated with the vigour and pomp one might expect for the Feast instituted to combat social and political modernism, the consecration was recited in a frankly perfunctory manner (and one occasion omitted entirely), there was no procession and the Blessed Sacrament was not exposed. Most seriously of all there was absolutely no mention made in the sermon of the Social Kingship of Christ on any of these occasions. 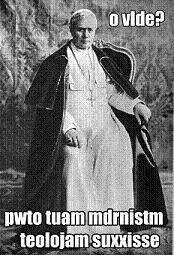 Pius XI instituted the Feast of Christ the King in order to compel the clergy to preach this doctrine. [A]lthough in all the feasts of our Lord the material object of worship is Christ, nevertheless their formal object is something quite distinct from his royal title and dignity. We have commanded its observance on a Sunday in order that not only the clergy may perform their duty by saying Mass and reciting the Office, but that the laity too, free from their daily tasks, may in a spirit of holy joy give ample testimony of their obedience and subjection to Christ. The last Sunday of October seemed the most convenient of all for this purpose, because it is at the end of the liturgical year, and thus the feast of the Kingship of Christ sets the crowning glory upon the mysteries of the life of Christ already commemorated during the year, and, before celebrating the triumph of all the Saints, we proclaim and extol the glory of him who triumphs in all the Saints and in all the Elect. Make it your duty and your task, Venerable Brethren, to see that sermons are preached to the people in every parish to teach them the meaning and the importance of this feast, that they may so order their lives as to be worthy of faithful and obedient subjects of the Divine King. Hamish Fraser famously described the American Catholic as “a Protestant who goes to Mass”. There is, alas, all too much truth in this ungenerous observation. One is often struck by the way in which American Catholics will say “I’m Catholic” rather than “I am a Catholic” as if ‘Catholic’ were one among a number of flavours of Christian. They will even talk about ‘Catholics and Christians’ as if there were some other sort of Christian or as if Catholics were not Christians or as if there were some kind of generic ‘mere Christianity’ approximating mildly conservative Protestantism upon which Marian devotion and five sacraments and the Real Presence are (hopefully) harmless baroque accretions. [R]ejecting papal authority in favour of one’s own individual judgment was a perfect recipe for religious anarchy. And in medieval Christendom it was much easier to see that fact – and also to see that such anarchy is thoroughly undesirable – than it is in modern Western society. Desensitised after several centuries spent under a socio-political umbrella that shelters multiple coexistent Christian denominations, we have now, as a society, baptised this chaotic anarchy with the bland name of “religious pluralism”, and have come to see it as an instance of normal and healthy progress, rather than of pathological decline from the revealed norm of a Catholic polity that recognises the kingship of Christ. (After all, isn’t such ‘pluralism’ a cornerstone of democracy and a guarantee of individual liberty?) Those of us who are converts to the faith can testify from experience that for modern Protestants right across the liberal-evangelical-fundamentalist spectrum, the co-existence of many Christian denominations or “churches”, while theoretically acknowledged as falling short of the biblical ideal of Christian unity, is for practical purposes taken for granted as something normal, natural and inevitable – pretty much like the co-existence of many different countries, languages, styles of music, or ice cream flavours. From that perspective it is precisely “Rome” that appears as the renegade – the black sheep in the Christian fold – by virtue of her “arrogant” claim to be the one and only true Church. And let us recall the full radicality of this Protestant critique. It is not that the Southern Baptists (let us say) object to the aforesaid claim simply because they consider their own denomination, rather than “Rome”, to be the one true Church. That would basically be the same kind of objection that many claimants to this or that national throne have made over the centuries against rival claimants: “It is not you, but I, who am the rightful king!” No, the Protestant position cuts much deeper. It is like objecting to someone’s claim to the throne of England on the grounds that no such throne exists! It’s like protesting that anyone at all who claims to be England’s rightful ruler is ipso facto an impostor and potential tyrant whose pretensions must be firmly resisted! For the common position now shared by Protestants is precisely that no single Christian denomination may claim to be the Church founded by Christ, and, therefore, that no leader of any one denomination may dare claim the authority to make doctrinal or governing decisions that bind all Christians. Rather, it is said, each denomination should respectfully recognise many (or even all) of the others as being true, that is, real, “churches”, and so limit itself to making the modest claim of being preferable to the others in one way or another – for instance, by virtue of possessing what it believes is a better understanding of Scripture. In other words, the different organised “churches”, according to this ecclesiology, are seen as being in this respect pretty much like banks, schools, cars, brands of toothpaste, or any other sorts of commodities and services. It is considered legitimate to promote one or other as being of better quality than the rest; but just as it would be outrageous and beyond the pale for Wells Fargo to claim seriously that none of its competitors is truly a bank, or for General Motors to claim that nobody else makes real automobiles, or for Colgate ads to proclaim that what you’ll get in tubes of other brands is not just inferior toothpaste but fake toothpaste – so Protestants right across the liberal-conservative spectrum consider it theologically outrageous and beyond the pale for any single Christian denomination (read: Roman Catholicism) to claim that it is the one and only real Church. The analogy of a disputed throne versus ideological republicanism is quite apt. The nonsense that legitimate governments derive “their just powers from the consent of the governed” goes hand in hand with nominalist contractualist ecclesiology. It is this Protestant vision and only this vision that could make sense of an intended adherence to the Gospel and a simultaneous acceptance of the ‘separation of Church and State’ as desirable for its own sake. The superstitious awe in which the citizens of the USA are expected to hold the Freemasons and Deists who composed their constitution and Declaration of Independence forbids the very idea of taking an axe to the First Amendment. American Catholics are expected to fly the flag of the US in the very sanctuaries of their Churches. This is extremely rare to non-existent even in countries that are or were formally Catholic, but this is the flag of the first western polity since the Edict of Theodosius in 380 to withhold recognition from Christ and which substituted the five pointed star for the Cross on its flag. This secularised banner is often, even in churches, hoisted on a staff surmounted by a golden eagle, the very symbol the Labarum supplanted and which was employed to desecrate the Holy of Holies in 70 AD. Between the World Wars liberal economics and politics seemed tired. The world was torn between totalitarian ideologies that demanded the whole person. The Church thrived in this context with an integral vision of God and man that answered all the aspirations of the human person in freedom and ranged her against “the modern world in arms”. The Leonine formula of indifference to the form of regime but implacable insistence on the conformity of the civil order to the Divine and Natural Laws made vast strides against Modernity. In the wake of the Second World War the USA was left as the hegemonic power and the ideology of its founders has eaten away at the Church. The ‘Boston Heresy Case‘ was a disaster as the quasi-condemnation of Feeney’s garbled version of explicitism seemingly justified the complete surrender of the American church to the spirit of Thomas Jefferson. The United Kingdom, born of the revolution of 1688, has this paradoxical advantage: the sovereign is subjected to a religious test. The Jacobites, like the colony of Maryland, became entangled in the dubious cause of religious liberty. The rectification of the British constitution, upon the conversion of the Monarch and the people, requires only a single Act of Parliament. Crux Sacra Sit Mihi Lux Non Draco Sit Mihi Dux! …accept the Holy Scripture according to that sense which holy mother the Church hath held, and doth hold, and to whom it belongeth to judge the true sense and interpretations of the Scriptures [and] never take and interpret them otherwise than according to the unanimous consent of the Fathers. If is often said that the Church has, in fact, only very rarely defined the precise meaning of a biblical passage. Whether or not that is true one clear instance of such a definition is the Bull Unam Sanctam which has very precise teaching concerning Luke 22:35-38 and John 18:11. In ordering the disciples to buy a sword if they had not one already, and in telling them that two swords are enough, and in ordering Peter to sheath his sword Our Lord laid out the precise nature of the jurisdiction of the sacramental hierarchy and the Supreme Pontiff over the temporal power. Both the temporal and the spiritual power are intrinsic to the Church. The spiritual sword is to be exercised for the specific ends for which the Church was instituted and by the members of the ecclesiastical hierarchy. In contrast, the temporal sword must be exercised by members of the Church but cannot be wielded by the members of the ecclesiastical hierarchy (although they may confiscate it if it is misused and assign it to another) because it is not a means by which the specific ends of the Church may be advanced. And he said to them: When I sent you without purse, and scrip, and shoes, did you want anything? But they said: Nothing. Then said he unto them: But now he that hath a purse, let him take it, and likewise a scrip; and he that hath not, let him sell his coat, and buy a sword. For I say to you, that this that is written must yet be fulfilled in me: And with the wicked was he reckoned. For the things concerning me have an end. But they said: Lord, behold here are two swords. And he said to them, It is enough. The apostles are told to obtain a sword because Christ will be treated as a criminal. As Our Lord also said at the Last Supper “the servant is not greater than his master. If they have persecuted me, they will also persecute you: if they have kept my word, they will keep yours also.” The opposition between the Church and the world is such that the Apostles (and their successors) need to have the protection of force in order to function. Yet, a short time later when Peter uses his sword to try to defend the Lord he is rebuked. “Put up thy sword into thy scabbard”. The Apostles have two swords but they are permitted to wield only one. The word of God is in the power of the clergy the state is to be in the power of the laity. How does this fit with the prohibition on coercive conversion? The temporal sword of Christendom is essentially defensive. It is not ‘for’ the Church as Boniface VIII insists, it is wielded ‘by’ the Church (the lay faithful). The essential purposes of the Church cannot be advanced by violence but the non-ordained members of the Church can use the temporal sword to defend the Church from external persecution. Once the state is no longer in the hands of the Church this is not possible. So long as the state is non-Christian the Church’s business lies in buying the sword (bringing the temporal order by consent into the possession of the Church). Once it is purchased the sword may be drawn – but only by the laity – to stave off temporal impediments to the operation of the spiritual sword. We do not live by the sword. The life of Christendom is established and maintained by the peaceful spreading of the Gospel. However, once that life has reached the highest temporal level of social organisation the temporal sword can and should be drawn in its defence. He says sell his cloak, and buy a sword: for henceforth the question with all those who continue in the land will not be whether they possess anything or not, but whether they can exist and preserve their lives. For war shall befall them with such unendurable impetuosity, that nothing shall be able to stand against it. At the beginning of the Song of Roland Charlemagne (in deference to his council) seeks to negotiate a temporal peace with Islam. He seeks to keep his cloak instead of buying a sword. He forgets the truth that he remembers later in the midst of battle with the Emir of Babylon: “Never to Paynims may I show love or peace.” The Lord tells us “the things concerning me have an end” there is no new revelation to dispense us from the unremitting opposition of the world. As Leo XIII teaches “Christians are born for combat”. The faithful must sell their cloaks and buy a sword because the state cannot simply be left in the hands of the pagans if the Church is to survive. This is why the Song ends with a weary Emperor roused from his bed by St Gabriel to carry on the war. He sought not first the Kingdom of God and His justice and so earthly peace is taken from him until he learns his lesson. In the case of Thomas Bonham v College of Physicians decided in 1610 by the Court of Common Pleas, Sir Edward Coke held that “in many cases, the common law will controul Acts of Parliament, and sometimes adjudge them to be utterly void: for when an Act of Parliament is against common right and reason, or repugnant, or impossible to be performed, the common law will controul it, and adjudge such Act to be void”. The case and the decision are controversial seeming, as they do, to contradict the doctrine of the Supremacy of Parliament in favour of the supremacy of Common Law. It has been celebrated in the United States as the possible origin of certain elements of US constitutional law. The Common Law in question in Dr Bonham’s case would be the aboriginal Common Law from which the English Common Law derives its legitimacy the lex naturalis: the light of the Divine Countenance sealed upon human nature itself. It is indeed the case that laws, both civil and ecclesiastical, contrary to the Natural Law are null and void (although whether the Court of Common Pleas is the competent tribunal to determine the existence of such a conflict is another matter). How does this relate to the danger of schism in the Church at the present time? Dr Bonham’s case concerned an instance in which a (juridical) person, in this case the College of Physicians, had acted as judge in its own cause. Despite having the authority of an Act of Parliament to do so Sir Edward Coke determined that to act as judge in one’s own cause is so repugnant to reason and natural law that the statutory provisions could not stand. Cardinal Burke has stated that, if the four Cardinals who have placed the Dubia before Pope Francis concerning Amoris Laetitia and the perennial teaching of the Church continue to receive no reply, he will be compelled to proceed to a “formal act of correction of [the Roman Pontiff in] a serious error”. According to the tradition of the Church if the Roman Pontiff is admonished twice by his proper counsellors for teaching heresy he is separated from the body of the Church and deposed. This is in accordance with the doctrine of St Paul in Titus 3:10 ‘A man that is a heretic, after the first and second admonition, avoid’. The Church cannot avoid the Roman Pontiff so if she were compelled to do so in virtue of Divine Law when such a person were admonished twice he would ipso facto cease to be the Roman Pontiff at the second admonition. Therefore, if a Cardinal were to issue a formal act of correction a process would have begun against Jorge Mario Bergoglio and until the Sacred College formally voted once (if negatively) or twice (if positively) concerning that admonition they would be constituted as the judges in that process. The Dean of the Roman Rota, Archbishop Pio Vito Pinto, has warned that Pope Francis could strip the four Cardinals of their membership of the Sacred College. There are precedents for such a degradation. However, from the moment a formal act of correction were issued by Cardinal Burke and/or any of his brother Cardinals such a degradation would be null and void. As it is contrary to natural law for anyone to be judge in their own cause, and as ecclesiastical positive law (a fortiori executive edict) cannot validly transgress natural law, it would seem the Pope cannot remove or institute Cardinals from the moment such a process had begun until it is terminated in acquittal, censure or (after a second admonition) deposition. This could, of course, create a serious problem at the next conclave if the Pope seeks to remove or, as even more likely, add members of the Sacred College during such a period. This is because the potential is created (were the Pope to die before the hypothetical process were terminated) for the appearance of two formally distinct sets of putative Papal electors: the set of those who recognise only the Cardinals appointed prior to the formal act of correction and the set of those those who recognise those created subsequently. If the first group (or even some of the first group) refused to sit in conclave with ‘Cardinals’ created after the formal act of correction these Cardinals (a sub-set of the first group) would have the right to sit themselves as the only true conclave. In the midst of the imminent apostasy of the post-conciliar period a hidden schism has developed beneath the external unity of the Church. The first stage in curing any disease is recognising its existence. Perhaps this formal act of correction cannot come soon enough. “The second problem concerns the interrelation of the principles of what is termed art and the standards of morality. Since increasing disputes on this subject frequently arise from false ethical and aesthetical principles, the council decrees that the absolute primacy of an objective moral law must be held by all. “This holy synod, following in the footsteps of the first Vatican council, along with that council teaches and declares that Jesus Christ, the eternal shepherd, built his holy church by sending apostles just as he himself had been sent by the Father; it was his will that their successors, namely the bishops, should be shepherds in his church right to the end of the world. So that the episcopate itself, however, should be one and undivided, he placed blessed Peter over the rest of the apostles, and in him he instituted a perpetual and visible principle and foundation for the unity of faith and communion. This doctrine of the institution, the perpetuity, the force and the nature of the sacred primacy of the Roman pontiff and of his infallible magisterium, the synod once more proposes to be firmly believed by all the faithful. The Sacred Council, therefore, not only accords to this ecclesiastical and spiritual heritage the high regard which is its due and rightful praise, but also unhesitatingly looks on it as the heritage of the universal Church. For this reason it solemnly declares that the Churches of the East, as much as those of the West, have a full right and are in duty bound to rule themselves, each in accordance with its own established disciplines, since all these are praiseworthy by reason of their venerable antiquity, more harmonious with the character of their faithful and more suited to the promotion of the good of souls. Already from the earliest times the Eastern Churches followed their own forms of ecclesiastical law and custom, which were sanctioned by the approval of the Fathers of the Church, of synods, and even of ecumenical councils. Far from being an obstacle to the Church’s unity, a certain diversity of customs and observances only adds to her splendor, and is of great help in carrying out her mission, as has already been stated. To remove, then, all shadow of doubt, this holy Council solemnly declares that the Churches of the East, while remembering the necessary unity of the whole Church, have the power to govern themselves according to the disciplines proper to them, since these are better suited to the character of their faithful, and more for the good of their souls. Moreover Christ, as the Church has always held and holds, went willingly and with immense love to his passion and death because of the sins of all people so that all may obtain salvation. First, the council professes its belief that God Himself has made known to mankind the way in which men are to serve Him, and thus be saved in Christ and come to blessedness. We believe that this one true religion subsists in the Catholic and Apostolic Church, to which the Lord Jesus committed the duty of spreading it abroad among all men. Thus He spoke to the Apostles: “Go, therefore, and make disciples of all nations, baptizing them in the name of the Father and of the Son and of the Holy Spirit, teaching them to observe all things whatsoever I have enjoined upon you” (Matt. 28: 19-20). On their part, all men are bound to seek the truth, especially in what concerns God and His Church, and to embrace the truth they come to know, and to hold fast to it. With all this in mind, this holy synod adopts the condemnations of total war which have already been uttered by recent popes, and declares: Every operation of war which aims indiscriminately at the destruction of whole cities, or of widespread areas with their inhabitants, is a crime against God and humanity itself which is to be firmly and unhesitatingly condemned. The Church, spotless spouse of Christ, generates, nurtures and educates souls in the divine life of grace, with her Sacraments and her doctrine. With good reason then does St. Augustine maintain: “He has not God for father who refuses to have the Church as mother.” [St Augustine] Hence it is that in this proper object of her mission, that is, “in faith and morals, God Himself has made the Church sharer in the divine magisterium and, by a special privilege, granted her immunity from error; hence she is the mistress of men, supreme and absolutely sure, and she has inherent in herself an inviolable right to freedom in teaching.”[Leo XIII] By necessary consequence the Church is independent of any sort of earthly power as well in the origin as in the exercise of her mission as educator, not merely in regard to her proper end and object, but also in regard to the means necessary and suitable to attain that end. Hence with regard to every other kind of human learning and instruction, which is the common patrimony of individuals and society, the Church has an independent right to make use of it, and above all to decide what may help or harm Christian education. And this must be so, because the Church as a perfect society has an independent right to the means conducive to its end, and because every form of instruction, no less than every human action, has a necessary connection with man’s last end, and therefore cannot be withdrawn from the dictates of the divine law, of which the Church is guardian, interpreter and infallible mistress. Further still, if the matter be duly pondered, we shall clearly see these evils to be the more especially dangerous, because, divorce once being tolerated, there will be no restraint powerful enough to keep it within the bounds marked out or presurmised. Great indeed is the force of example, and even greater still the might of passion. With such incitements it must needs follow that the eagerness for divorce, daily spreading by devious ways, will seize upon the minds of many like a virulent contagious disease, or like a flood of water bursting through every barrier.